Like most of the nation during the 1930s, St. Louis, Missouri, was caught in the stifling grip of the Great Depression. For the next thirty years, the “Gateway City” continued to experience significant urban decline as its population swelled and the area’s industries stagnated. Over these decades, many African American citizens in the region found themselves struggling financially and fighting for access to profitable jobs and suitable working conditions. To combat ingrained racism, crippling levels of poverty, and sub-standard living conditions, black women worked together to form a community-based culture of resistance—fighting for employment, a living wage, dignity, representation, and political leadership. Gateway to Equality investigates black working-class women’s struggle for economic justice from the rise of New Deal liberalism in the 1930s to the social upheavals of the 1960s. 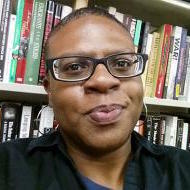 Author Keona K. Ervin explains that the conditions in twentieth-century St. Louis were uniquely conducive to the rise of this movement since the city’s economy was based on light industries that employed women, such as textiles and food processing. As part of the Great Migration, black women migrated to the city at a higher rate than their male counterparts, and labor and black freedom movements relied less on a charismatic, male leadership model. This made it possible for women to emerge as visible and influential leaders in both formal and informal capacities. In this impressive study, Ervin presents a stunning account of the ways in which black working-class women creatively fused racial and economic justice. By illustrating that their politics played an important role in defining urban political agendas, her work sheds light on an unexplored aspect of community activism and illuminates the complexities of the overlapping civil rights and labor movements during the first half of the twentieth century. St. Louis native Keona K. Ervin is Assistant Professor of African-American History at the University of Missouri-Columbia. A Center for Missouri Studies Faculty Fellow at the State Historical Society of Missouri, Ervin is the author of Gateway to Equality: Black Women and the Struggle for Economic Justice in St. Louis (University Press of Kentucky, 2017), and she has published articles in International Labor and Working-Class History, Journal of Civil and Human Rights, and Souls: A Critical Journal of Black Politics, Culture and Society. She is a recipient of the Career Enhancement Fellowship from the Woodrow Wilson National Fellowship Foundation, the Arts and Sciences Faculty Fellowship from the University of Missouri-Columbia, and the Huggins-Quarles Dissertation Award from the Organization of American Historians.